Recently I had the opportunity to chat with Aileen Hickey, a successful journalist-turned-barrister and fabulous mother of five. 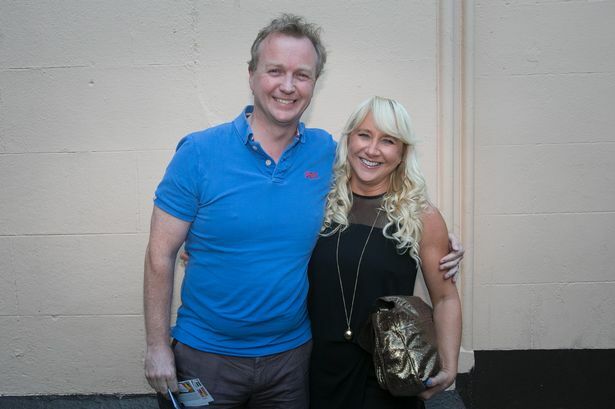 Aileen lives in Dublin with her five children and her husband, Matt Cooper: the highly successful journalist and radio presenter with his own show, ‘The Last Word’, on Today FM. I began by asking Aileen about her childhood; where she’d grown up, where she’d gone to school and what she did after finishing secondary school. She was born and raised in Millstreet, Co. Cork; Aileen attended the boarding school in Millstreet, even though she lived less than a mile away from the school. “I could practically see my house from the window!” Although there was a non-boarding school community school in Millstreet, it was out of convenience that Aileen attended the boarding school, as her father owned a hardware store and her mother was an ambulance nurse who would often be on call, day and night. Aileen was among the minority of the girls in her year that didn’t go on to do nursing. Instead, Aileen made the big move to Dublin having only visited there before. It was a brand-new course at the time, Communications in DCU. Aileen lived in digs for the first while, but didn’t like it at all; “I didn’t like the digs lady, and she didn’t like me!” After a while she moved into private accommodation with friends she’d made. “I was doing big features for the Irish Independent, particularly for the weekend section on Saturday. I was doing property stuff as well for the Sunday Business Post. I had my own column in the Sunday World for 10 years called ‘Sunday Money with Aileen Hickey’.” Aileen did that full-time column for about ten years, while also doing features for the Sunday World, so Aileen really was doing ‘quite a bit’ of freelance work. Journalism is a highly competitive field, and I was curious myself how Aileen found her experience was in general, but also in particular what her experience was being a woman in the field; I asked Aileen if she felt herself that she was in any way or at any point presented with further challenges or perhaps barriers as a woman when it came to her work. “No, not at all,” was Aileen’s confident response to this, “I couldn’t say that I was ever overlooked or that I ever felt that it was seen as a negative. Anyways, as a matter of fact, some of the stories I would cover, maybe a murder story, I would be sent to the place to do background research and found out stuff”, so Aileen never felt that anyone thought twice about sending her off to cover particular stories because of the fact that she’s a woman – a great reassurance to female aspiring journalists. “I did a column in the Sunday Business Post called ‘Influences’. It generally involved me talking to a well-known business man, like chief executives of big companies, PLC’s and stuff, to find out who their influences had been from childhood and education-hood, to when they went on into adulthood, and they never reacted like ‘oh I’m not telling a female journalist this!’. I remember I was sent to the North Sea to cover an oil company at one stage; we were flown out by helicopter out of Norway … I would’ve not only been the only female journalist, but would’ve been the only woman [that was staying on the oil rig].” Aileen really does feel that being a woman never held her back or impacted on her journalistic career, or anything that she did, in any negative way. Aileen has most definitely kept in touch with the journalistic world and remained successfully involved in one way or another throughout her careers. Fascinated by Aileen’s ambition and all that she has achieved up to date, I asked her if there is anything that she has always wanted to do but has not gotten around to doing just yet? I ventured a guess here that Aileen was excited to find out what the next ten years had in store for her, and an enthusiastic “Yeah!” confirmed my belief. “How did you know that? !” a somewhat surprised Aileen asked me. I told her that I had done my research, and we laughed. Matt Cooper, Aileen’s husband, studied at UCC. My last question for Aileen was this; What advice would you give to aspiring journalists, as I myself and a lot of our readers are, both in general, and then as well more specifically in today’s world of journalism knowing that, with advancements in technology, it’s a field in which there are rapid evolvements and changes required? When I put it to her that most people would consider that newspapers are on the way out, Aileen responded with a sharp “I sincerely hope not! Aileen is the perfect example of a woman who has proved that it is never too late to embark on a journey of learning and experience work in many different areas in a lifetime; it is never to late to go and do anything you want to do. Aileen has done journalism, TV, she’s a barrister – all the while being a mother of five kids!